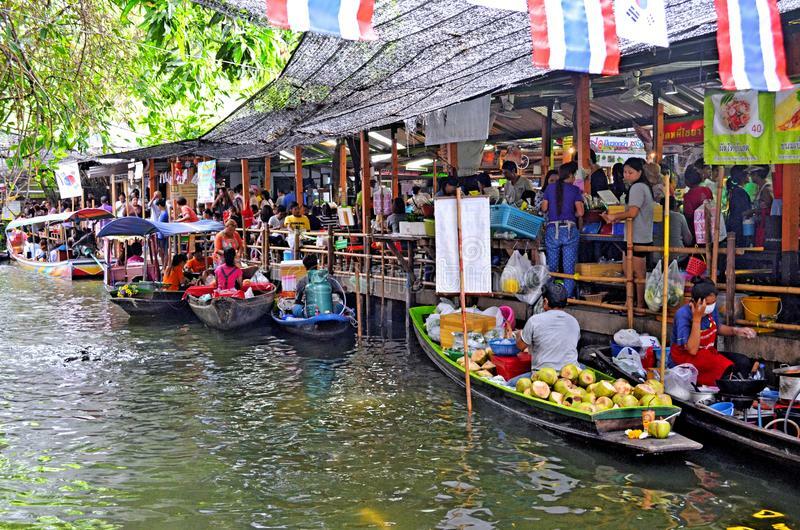 While some of the most famous floating markets are located outside of Bangkok, like Damnoen Saduak and Amphawa, there are others that are well worth visiting right within the city. For the atmosphere, natural beauty, and most importantly for the food, Khlong Lat Mayom, a floating market located on the outskirts of central Bangkok, is one of my favorite floating markets in Bangkok. 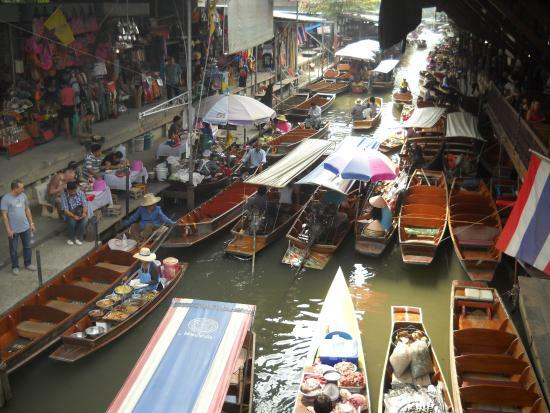 Bangkok, has become a hugely popular Thai tourist attraction – and many local Thais go to a floating market on the weekend to walk around, do some some shopping, and most importantly: to do some eating.